You are reading Shalu's blog!! For you to have the courage and desire in you to succeed as an entrepreneur is a unique and exciting thing. Not many people have the guts to leave the corporate world and make something of themselves on their own – much less online. That may be because it’s a viable business opportunity that very few people understand. They know there are websites online and they see people making money, but they have no idea how to get from step A to step B. Fear often keeps us rooted to a career that we can’t stand. It doesn’t matter what your reasons are for pursuing this path. Maybe you are out of work and looking for a job in an economy that has none to offer. Perhaps you’re a stay at home parent who would like to contribute to the household finances. Or maybe you’re retired but just not yet ready to quit being productive! One thing is for sure. That old saying, “If you fail to plan, plan to fail” is true. So that’s what you’re going to start with – the planning elements that go into building a business like this. The shiny new object syndrome is a beast that chases all new work at home entrepreneurs. It feeds off of your desire to be making money FAST and EASY and it’s a drug you don’t want to become addicted to. You may start off with this very eBook that you’re reading now – and then later today someone in a forum mentions that they made $1,019 in just 24 hours with XYZ info product. Before you know it, the shiny new object syndrome has taken root and you’ve whipped out your credit card and ordered it – instantly becoming that much more in debt before ever implementing a single step from this guide. You’re not alone if you’ve succumbed to this disease of mindset. But you have to nip it in the bud before it gets out of control. In most cases, the people suffering from this affliction don’t take action on a regular basis. They simply buy, read, analyze and buy the next shiny new object that gets in their line of sight. · Forum posts where people you’re learning right alongside with rave about new products coming out. · Email autoresponders from those you’ve signed up with – maybe for a freebie. · Ads you see in sidebars on someone’s blog. · Reviews you read from seemingly honest marketers. · Google results as you go online to search for information about making money online. · Word of mouth as you befriend others on the same journey. There are just a few problems with the recommendations I listed above. With forums, you need to know that not all posts are created equal. Unfortunately, there’s a lot of the “buddy system” roaming around online. This is when a group of friends agrees to post for one another whenever they launch a new product. Then the rest of the group goes in to post that they’re using Bob’s new product and it’s absolutely amazing! What happens is YOU see a huge list of people who are excited about this product. The sad thing is, it’s just a “you scratch my back, I’ll scratch yours” situation. Are ALL posts like this shady and unseemly? Of course not! But how will you know? Protect your wallet and let the reviews simmer for awhile. If general feedback in multiple places is that it’s good, then maybe give it a try. You don’t want to be chasing the trendy, “about to be banned” tactics anyway, so don’t be in a rush to grab something that won’t be a fairly evergreen strategy for you to implement. This means they’ll promise to promote someone else’s product if the other person promises to promote for them. So Bob might agree to promote Joe’s product if Joe promotes to his list. You’re on Bob’s list, so you get an email from him touting the benefits of Joe’s product. This may not even be anything Bob believes in, but he’s holding up his end of the list swapping agreement. Unless the marketer admits he hasn’t read it, or shows you some information about how he himself implemented it, be wary of an email like this. With ads that you see in sidebars, you have to be careful. You might trust a marketer and see an ad that recommends a new product. You go and buy it and it’s pure trash. 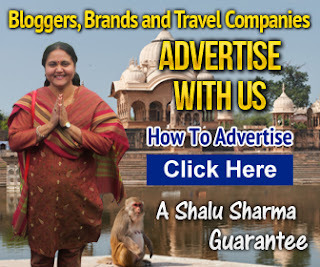 It could be just an AdSense ad that the blogger or site owner doesn’t personally endorse. If you’re wondering about it, always contact the site owner and ask if they are personally promoting the product or if it’s just an AdSense ad. Sometimes you’re going to encounter a review for a product. You see it being promoted so you type into Google, “XYZ product name review.” A whole list of entries pops up and you read them – they’re all glowing testimonials about the benefits of the product. That doesn’t mean it’s true. Some people are so desperate to make money online that they give a positive review to anything that’s released – especially items where they’ll make a nice 50% commission. Look for signs that the reviewer actually implemented the product. Is the review simply stating facts that can be found on the sales page? If so, it probably means they haven’t personally looked it over. Now Google results can be tricky to new entrepreneurs. Let’s say you go online and type in “make money online” to the Google search engine. You may think that the first several results would be the most beneficial, since their sites are ranked first in the search engine. But if you look closely on the upper right corner, you’ll see a tiny word that says, “Ads.” These people are paying for that position. And you can’t rely on search engine results pages (SERPs) to give you the best information anyway. Too many marketers know how to play by the SEO rules and get their sites ranked high, even if they provide no real value. Lastly, you’re going to hear about products through word of mouth. If you have a friend online who you trust completely, then by all means go ahead and take their advice. But if you’re at a seminar and there’s a buzz going around about a new guru’s product, be careful that you’re not just listening to a bunch of people kissing up to someone who has gained a bit of celebrity in this small circle. Even with one single product on your hard drive, you can easily begin to feel overwhelmed with information overload. If this happens to you, realize that it’s not uncommon and it is beatable! 1.) You bought too many products and you’re trying to do them all at once. If you bought too many products, it’s okay – let’s just clean things up from here. I want you to choose ONE to work from right now. You can’t go with everything all at once. Implementation has to be progressive. You build this business – it doesn’t just all appear at once. This guide will give you a good idea of what order you should go in with branding, list building, affiliate marketing, info product creation, etc. And don’t try to do more in a day that you really can. You’re going to suffer burnout if you overload yourself with information and tasks. At the same time, if you want to move forward, you have to start taking action steps seriously. 2.) You only have one product, but you’re letting fear and frustration get in the way of your success. This second dilemma is troublesome because it’s hard to gain confidence in yourself when you have nothing to go by. You have no prior success (and maybe even quite a few failures) with your online income efforts. The first thing you want to do is set aside a certain amount of time to work each day on implementing a guide (even this one). You can break it up if it’s more convenient for you, but don’t try working from sun up to sun down and end up in tears because you’re exhausted. As you implement a course, do it section by section in the order that the product creator has given. Don’t jump around. And don’t skip steps because you don’t want to do them. One common problem is that product owners generalize an instruction without giving you details. This can be very frustrating, but stay calm! The first thing you want to do is Google it! You’ll get a ton of step-by-step results. Now a good idea would be to email the product owner at the end of your implementation and let them know what steps you had to seek elsewhere so they can make it better for the next buyer, but this is not your responsibility – just a courtesy to make the web a better place. Take the course in bite sized steps. Don’t try to implement an entire course in two hours. If you succeed, it’ll be sloppy. And you won’t retain much of the information, either. If you do run into a roadblock where the answers can’t be found on Google, then try asking in a marketing forum. Feel free to contact the product owner, too. They should have some support for the product and if you run into a stone wall with no reply and no answers, then it’s acceptable to ask for a refund at this point. Scams are prevalent online and it’s one reason the FTC is cracking down on false claims and going after marketers who abuse people. You’re going to encounter them – to what level varies. Or you may find someone promoting a product that turns out to be black hat. Black hat is often viewed as unethical and sometimes it’s illegal. It’s basically a way to game the system in a less than honest manner. The worst types of scams are those where the promoter takes your money and never delivers. You do have protection, but you have to know where to find it. First, try getting a refund from the shopping cart method – PayPal or ClickBank for example. If that doesn’t work and the promoter isn’t responding to your emails, don’t be shy about taking serious action. Simply go to the FBI’s Internet Fraud Complaint Center and initiate an investigation. You can also let the product owner know that you’ve done this so that even if the FBI doesn’t take on your complaint, it will probably scare the promoter into refunding you fairly quickly. All of this negative talk might make you scared to go forward but I have some good news. There are a LOT of ethical, moral individuals out there teaching fellow entrepreneurs how to succeed. You’re going to have to find out who delivers on their promises and who drops the ball. Ask around in forums. Sign up to several lists and sit back and analyze and watch the marketer’s emails. · Are they doing nothing but pushing product to you on a daily basis? · Do they promote products that have earned poor reviews from many others? · Do they answer emails from you? · Are they transparent in what you’re doing online? · Do they give value to you free as much as they push paid products on you? If you ever see red warning flags, simply remove them from your “trustworthy” list and move on. Don’t just go off of what others say, although it’s a good place to start. Remember what I said about the buddy system – you never know who’s promoting or giving positive feedback about someone just because they’re a friend.